Often when working with a Power BI report you will add a slicer that has a “Blank” item in the selection criteria. From a usability standpoint you might not want this item shown. Or maybe you have multiple items in the slicer that you would like to hide from the report consumers. The video, linked below, walks you through why the “Blank” item is shown and how to remove it. 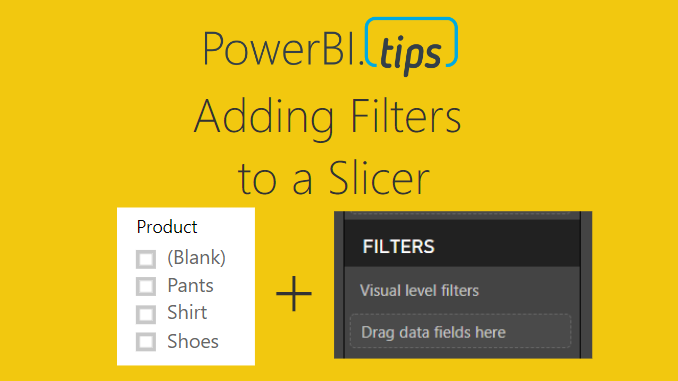 If you want to read more about syncing slicers check the official documentation release from the Microsoft Power BI Blog. This feature was originally released in February of 2018 and was announced here in the Power BI Blog. Thanks for watching. If you like this content be sure to subscribe and follow along for more content. Subscribe to me on YouTube. Or follow me on the social channels, Twitter and LinkedIn where I will post all the announcements for new tutorials and content. A very elegant solution. Thank you so much. Hi Mike , I like particularly the idea of a Master Slicer page. Thank you for sharing. What is your opinion about filter Sales with a join on the query to remove prod 4 from fact table? Of course, only if we don’t need prod 4 transaction for other analysis. I have used specific data sets to filter out data points, just as you have described. Sometimes when modeling data you need to remove more than one item. Maybe you want to remove 10 or 100 items. Thus, it would be impractical to use an if then statement to filter everything out. Instead I would make a separate data table and use that to filter out the items I don’t want. This allows me to change that Filter out list at a later date if needed. Its a good solution, although not always practically feasible to go and change the default selections when new values come in for a field. This is an excellent solution and well explained too. Thanks so much for the tip.